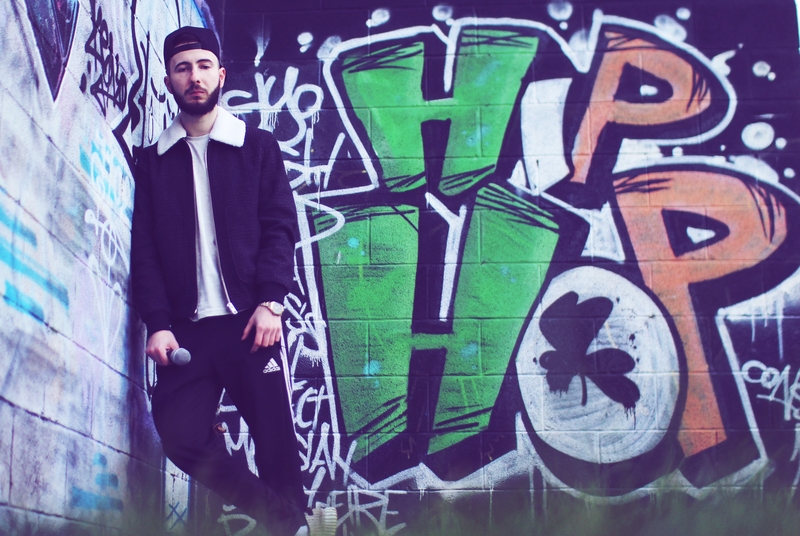 Unity on Arklow Musician And Rapper Oisín Mac Giolla Bhríde who was born in 1993 at the Rotunda maternity hospital, Dublin. He was then raised in county Wicklow. Our man Thomas caught up with Oisín to ask him a few questions to get to know him a bit more, his influences and where he started..
My Granny was my first teacher. I used to go to my Grandparents house every day after school when I was young and my granny would teach me the piano. She also used to teach me Irish, English and Maths before I ever started school. Describe your first instrument. Other instruments. I was at a 10 year anniversary gig of a north Dublin Hip Hop record label called “Working Class Records” in a dublin music venue called the twisted pepper (Now closed down). That gig really felt like experiencing history in the making, the emcees were all so gully and raw yet technical and intelligent, the sound system was great and the entire building was shaking with the bass lines of the dusty boom bap tracks. The room was dark except for the stage and the air in the room was thick with cannabis smoke. There was a real sense of community in the crowd too, not one bit of trouble. I grew up on Irish Hip Hop and that gig will always stand out in my memory. If you’re really confident in your ability and the work you’ve put in to your music, then you’ve no reason to be nervous. The crowd is there to hear what you’ve got and will usually be supportive. The live skills will come with time, in the meantime you just have to pay your dues and get those first couple of gigs out of the way. I do. Na Gaeil (Irish speakers). Gaels tend to be able to play multiple instrument, sing, dance, tell stories and poetry etc, so everyone takes part. we’re also a very lively and friendly group, you often see people Sean Nós dancing on tables by the end of the night (The next morning), and you always learn something. Wherever and whenever I can, which can be awkward living in a populous area with neighbors on the other side of a thin wall. I usually do some kind of practice every day though. I only pursue things that already fit in with my passions, eg acting, broadcasting on the radio, promoting the Irish language, Hip Hop etc. So for the most part everything falls into place, I do be very busy and can’t always balance everything but I do my best to rearange my schedule as much as possible.